He is one of my favorite heroes. Let me explain. You see, I want to focus on good things, positive things. There are plenty of scary and depressing things in our world, and they seem to get top billing much of the time. But I found that if I spend too much time thinking about the bad, the ugly, the scary, it bleeds over into how I view the world. It discourages me, depresses me, and sometimes frightens me. I am not talking about putting my head in the sand. I understand that difficulties are part of life. But I believe in healthy balance. As my sensei teaches, “Balance in all things.” So I try to balance out the scary stuff with the wholesome stuff. I call it Focused Optimism. My hero’s story began with six words. “Hey, we’ve got a problem here.” And although he didn’t know it at the time, Eugene Krantz was about to experience the test of a lifetime. How he responded to the crisis has become the stuff of legend. 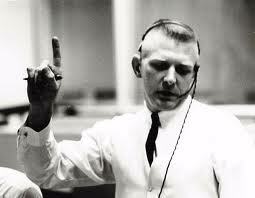 Krantz was the flight director of Apollo 13. Two days into the mission, an oxygen tank exploded, ripping through the spaceship Odyssey. She was 200,000 miles from earth, traveling at a rate of 2,000 mph. Two of her three fuel cells were malfunctioning, temperature was dropping inside the cabin, and she was losing oxygen and power. The only hope for the crew was to somehow use the moon’s gravity to slingshot the Odyssey back to earth. Only there wasn’t enough power for the three-day trip to get the crew home. But the biggest challenge facing the crew was carbon-dioxide buildup inside the cabin. Unless this problem could be solved, the crew would suffocate. And assuming this could be solved, another serious issue faced them – re-entry. The angle for re-entering the earth’s atmosphere had to be perfect. Too shallow, and the Odyssey would bounce off the atmosphere like a rock skipping across the surface of a lake. The ship and crew would ricochet into space and be lost forever. Too sharp, and the friction of re-entry would cremate the ship. And to control the angle would require power – which the Odyssey did not have. 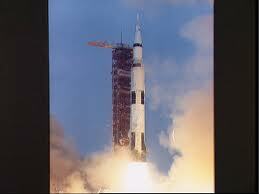 As it turned out, it was in fact NASA’s finest hour. Because Eugene Krantz believed it would be and acted on that belief. Where is your focus? Eugene Krantz was focused on a successful return of the Apollo 13 crew. In his view, failure was not an option to consider. And that is why he is my hero. That was good advice when he wrote it, and it is good advice now. It takes discipline and awareness to move our thoughts away from things that worry, and instead concentrate on things that uplift, but with a little practice, it can be done – we just have to change our focus. Focused Optimism. Not false hope, not hype, but balanced optimism – a belief that things really will work out. Interestingly, this seems particularly effective with patients who are sick. Research has shown that breast cancer patients who practice optimism have better outcomes than those who are pessimistic. A study was done by the University of Michigan. It followed Harvard students over a 35 year period, and found a pessimistic lifestyle to be a risk factor for physical illness! Optimistic people were significantly healthier throughout their life. That is not to say that someone who is optimistic will never be sick or discouraged. But it does indicate that focused optimism is one way to help insure a healthy lifestyle. How about you? We all face many issues and troubles at various times. You may be going through a life-affecting challenge as you read this. Perhaps it is financial, or emotional. Maybe it is a relationship or a career challenge. Maybe you or someone you love is having health problems. Like the flight directors of Apollo 13, we have two choices. We can focus on the issue as being the worst disaster we have ever faced. Or, we can choose to believe that it will be our finest hour. This entry was posted on Friday, October 28th, 2011 at 4:16 pm	and tagged with Apollo 13, courage, focus, Gene Krantz, happiness, joy, Leadership, motivation, Odyssey, optimism, risk, success, terry newberry and posted in Uncategorized. You can follow any responses to this entry through the RSS 2.0 feed. « What Will I Be Remembered For?